This is the story of the C3—a trailblazing modern prefab home that ushers in a new approach to city dwellings. 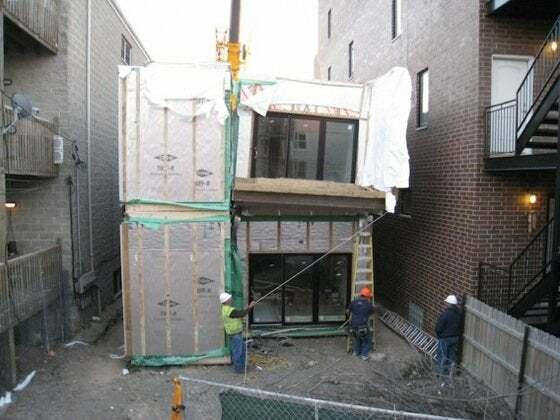 One unusually warm and sunny November day, a giant 225-ton crane deposited five prefab house modules onto a 25’ x 125’ plot of land in Chicago. Many people came to watch this unprecedented show, including Kathy and Michael Caisley, the couple who had bought the house. Also in attendance was Jeffrey Sommers, the architect who had designed it. This is the story of the C3—a trailblazing modern prefab modular home. Jeffrey Sommers started thinking about prefab modular building roughly eight years ago. The C3 was four years in the making. C3 stands for Cube, Cut, Copy. The name—which has a math vibe consistent with Sommers’ Square Root Architecture + Design firm—describes the steps taken to conceive the original prototype. “It also has references to modular construction and the repetitive assembly line process,” Sommers says. 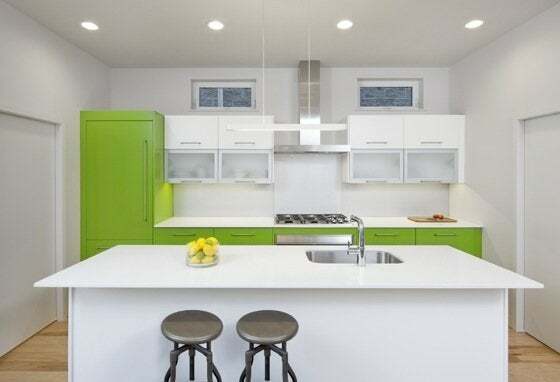 Designed initially without a client, Sommers incorporated “all of the knowledge of previous clients’ requests for what they wanted in a dream home.” Words and phrases that kept coming up were “modern”, “energy efficient”, “sustainable”, and “affordable”. Once green-lighted, Sommers rallied the players. The project demanded energy and landscape consultants, a green rater, solar specialists, and other LEED-minded professionals. With project radar set on LEED Platinum certification, Hans Fedderke, Helios Design Build’s project manager, prepared the underground utility work and the foundation. Hi-Tech Housing gathered LEED-appropriate construction materials and built the C3 modules inside its warehouse. From the first nail to shipment of the modules was about 15 days. The C3 has a HERS rating of 46. While it still awaits LEED certification, here are some of the energy-saving features that contribute to its high rating and level of sustainability. – exterior siding that is both low maintenance (Galvalume corrugated and fiber cement boards) and reclaimed (barnwood). The Caisleys have lived in the house for 15 months, and their utility bills are sizably lower than the 1,200 square foot, two-bed and two-bath condo from whence they came. The water bill maxes out at $20. Because of the great insulation and ample natural light, the Caisleys don’t often use heat or A/C. 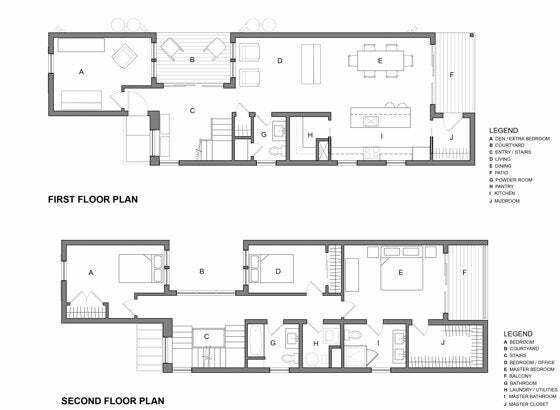 Beyond super low utility bills, the smart configuration includes a backyard, a second floor deck, and a one-car garage. To Caisley, the house, rich with amenities, looks much more expensive than it is. Jeffrey Sommers wants to see more prefab housing in his city, and after enlightening the Department of Buildings and working through the kinks with the Caisleys, his vision appears more do-able than ever. 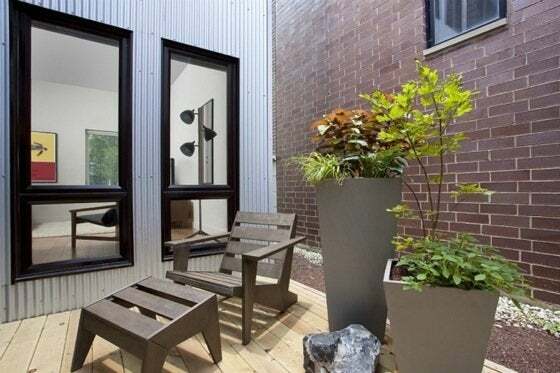 Through Living Room Realty in Chicago, a company that specializes in “mindful, urban living,” Sommers is now able to offer customizable green homes priced at $150 – $250 per square foot. To increase its marketability, C3 has taken on new meaning: Create, Customize, and Conserve—which any potential homeowner can certainly comprehend. Since the Caisleys kind of co-pioneered this prefab possibility, perhaps there should be an honorary “C” for Caisley.